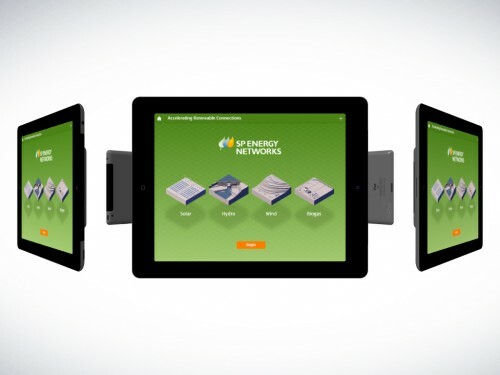 This iPad app, designed for use at trade shows and exhibitions, educates users about Accelerating Renewable Connections (ARC). ARC, an exciting new initiative to help new, green-energy projects connect to the local power network earlier through the development of new connection techniques and innovative contractual arrangements. 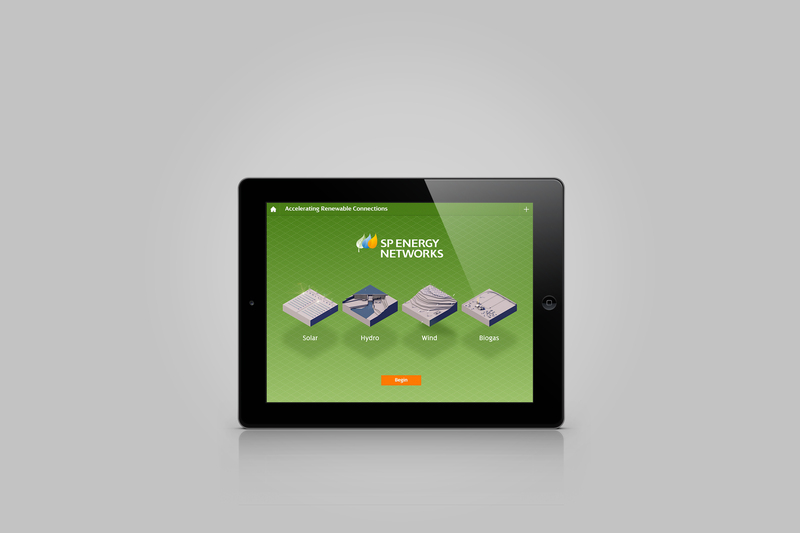 I designed a user-friendly interface and collaborated with Touzie Tyke on the art direction and creation of the 3D animations that help illustrate the processes associated with each of the four power sources.